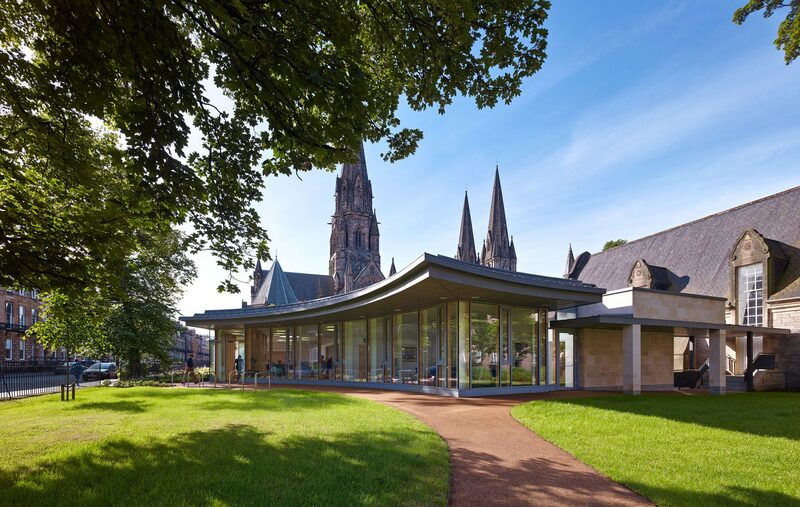 Conceived as a ‘garden pavilion’ the building form to Manor Place echoes Lansdowne Crescent (to the south of the cathedral) by curving around existing trees. This part of the building contains the waiting area, giving the patients a calming view out to gardens and trees. To the west a stepped profile is an echo to the alignment of the existing Cathedral Close grouping of buildings, housing the treatment rooms and support accommodation, including the stone masons yard. This alignment opens up and frames the view of the St. Mary’s tower as well as stepping in plan towards the Chapter House. 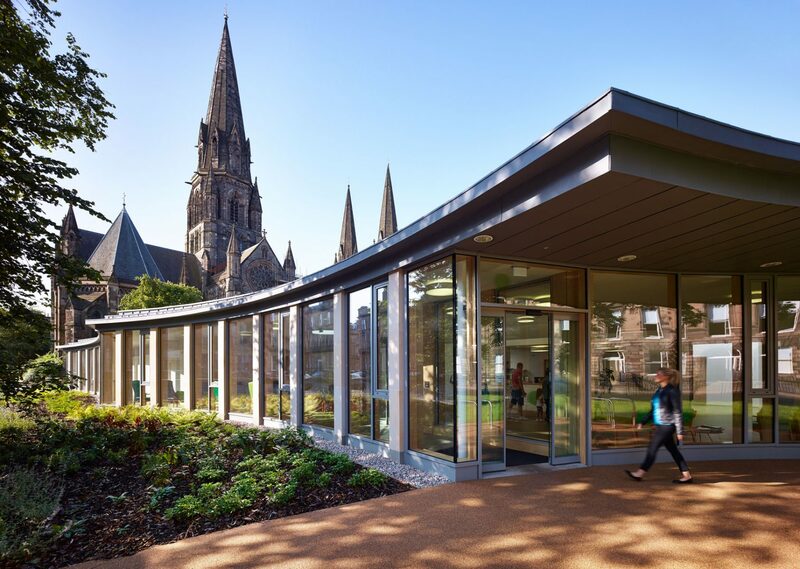 This form, combined with surrounding landscaping and single storey sedum roof, embed the project within the cathedral grounds, providing a sympathetic response to both the site and neighbouring context. The medical centre consists of 10 GP consulting rooms, 2 Nurse consulting rooms, 1 treatment room, Health education room and supporting staff accommodation. 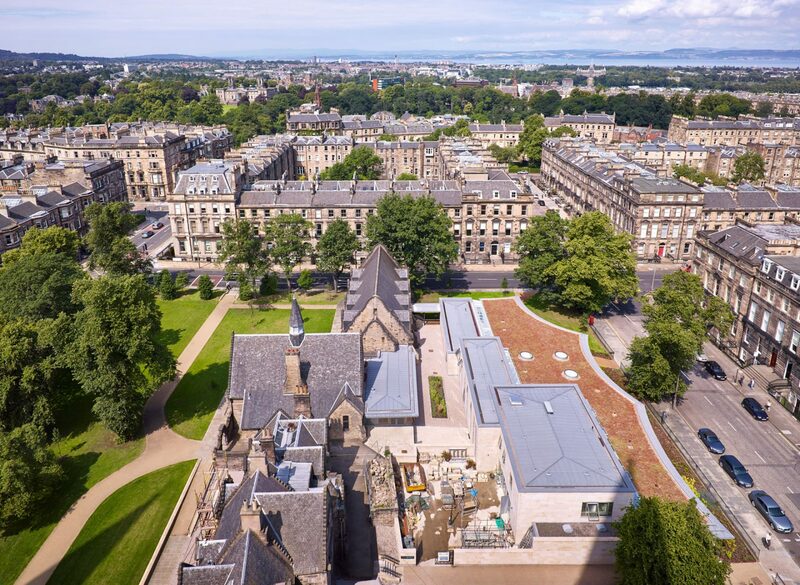 A new workshop with workyard replaces the existing adhoc timber building and provides a new facility for the Stone Masons in support of their cyclical maintenance of the cathedral. 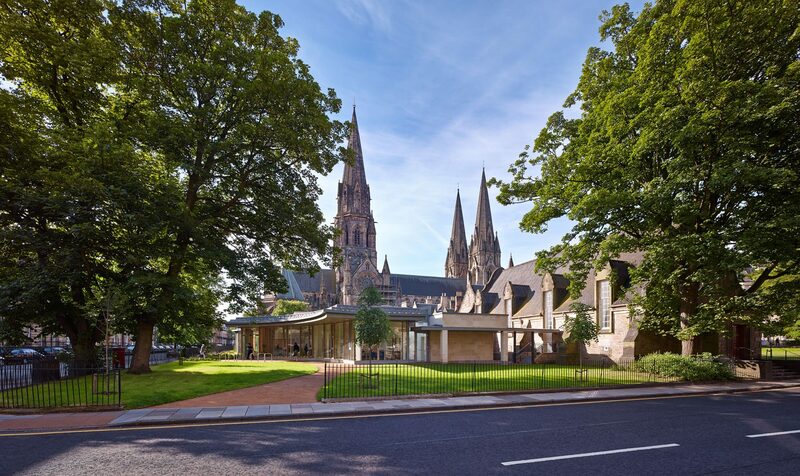 The historic Walpole Hall and Song School are now connected by an extension providing a new foyer / reception area for both facilities.